How to fix Computer Overheating by Clogged Heatsink? 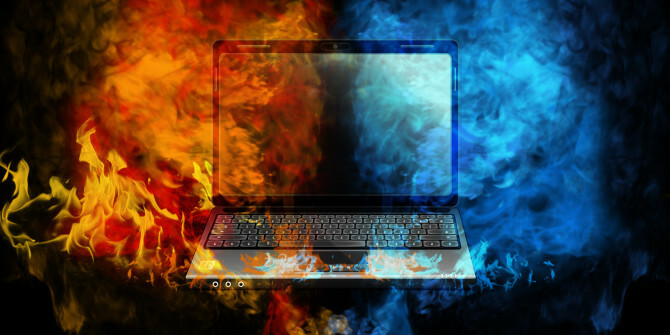 Overheating of computer is a common problem that most users face. Computers come with an appropriate cooling system that manages the heat produced by CPU and graphics cards. Heat sink and cooling fans play the most important role in order to keep your computer at a manageable temperature. Sometimes, cooling components don’t work properly or stop functioning completely. This can affect the CPU functions and lead to random shutdowns, unusual sounds, crashes, or blue screen error. The first question that may arise in your mind “What is the reason behind Overheating”? Let’s have a look at this overheating problem. Over the time, continual functioning of this inbuilt cooling system can result in the accumulation of dust and debris between the fins. The clogged heatsink with dust and debris reduces the cooling power and the area available for cooling. It further increases the CPU temperature and promotes overheating and damage. A loud, constantly running, exhausted computer fan is usually the first sign that indicates a clogged heatsink. Dust build-up on the heatsink makes your computer fan less efficient at dissipating heat from the CPU. A less-efficient heatsink prevents fan from drawing out the heat from processor. To manage the excess heat produced due to malfunctioning of heatsink, the processor cooling fan runs faster at normal operating temperature. If you discover that your PC’s fan is working harder than it usually does. The very first thing you need to do is closely hear the noise and try to identify the fan that is making noise. Once you determine the problem area, immediately clean the clogged heatsink as well as remove the dust from fan with a handy vacuum cleaner or PC blowers. Computers that shutdown randomly without any warning generally experience overheating problems. These thermal shutdowns take place when the processor temperature reaches a critical level causing the computer to shut down automatically preventing permanent damage. An error-prone behavior of computer along with a noisy fan is an indication of clogged heatsink or impending failure. Diagnose the heatsink for missing vanes and crimped pipes. Sometimes a normal dusting of heatsink can resolve the issues. If the problem still exists, you may have to replace the heatsink or motherboard. We advise you to rely on qualified technicians instead of doing it yourself. Too high temperature of CPU is a sign of a clogged heatsink. When computer senses that the internal temperature of motherboard is increasing constantly, it switches to an auto shutdown mode. Laptop overheating may cause unexpected shutdowns with a message. The malfunctioning of heatsink may also damage the motherboard. To check the temperature of CPU, you can download and install several temperature utility applications such as Core Temp, HWMonitor or SpeedFan. As the temperature of CPU rises, these utility programs provide an accurate picture of clogged heatsink which requires cleaning. Clean the heatsink on a regular basis to avoid dust between the fins. But in case of extremely clogged heatsink, you need a lint-free cloth to wipe the dust. After performing all the above steps, if the problem still exists, call our qualified technicians to get consultation.